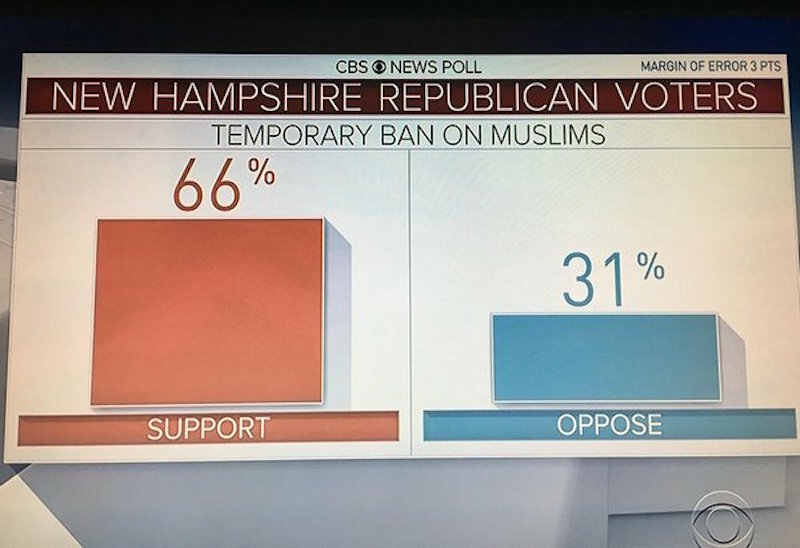 According a CBS exit poll, a vast majority of Republican New Hampshire voters support at least a *temporary* blanket ban on all Muslim immigrants. Which is to say, a vast majority of New Hampshire Republicans are pretty racist and probably voting Trump. It’s still much to early to tell whether Trump will actually take the lead (right now, him, Cruz, and Kasich are sitting neck-and-neck). But if these exit polls are anything to judge by, New Hampshire has Trump’s name written all over it.